We have built comprehensive range of fretwork screen designs (Also known as decorative geometrical carving or openwork, any similar pattern of light and dark and ornamental work of three-dimensional frets ) for interior designers, architects, set decorators and domestic interiors, all designs can be made to specific sizes and depending on the design, we can scale it to fit almost any size, please contact us with your requirements and we will be happy to advise. 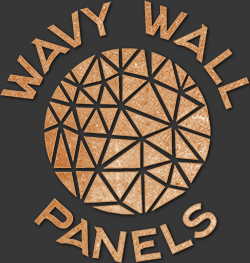 We also have a range of 3D Bespoke wall decor panelling for walls, floor, ceiling, counters and furniture, these panels can be used for almost any application that requires that unusual finishing touch, a huge range of Acoustic speaker Grille cloth in many colours for use with AV cabinet construction and home cinema builds. We can custom make any size or shape Ceiling pattress for suspended ceilings to spread the weight of heavy light fittings. We specialise in replica brick and tile panelling, for use on walls, floors and ceilings. Our T&G / V-groove wall panels can be made to specific sizes as well as our standard range available. Please browse through our website to get a snap shot of the components and parts we can produce, we are constantly working with clients in new industries, so keep checking this page for updates and new concepts. In the meantime enjoy our website! !